By shopping at The Royal Zoological Society of SA Inc (The Society) online, and using this website, you agree to the Terms & Conditions listed here and elsewhere within this site. The Zoo reserves the right to make changes to these conditions at any time, and encourages you to review them periodically. Your continued access and use of the site shall be deemed your acceptance of these terms and any subsequent changes. Any order placed by you via this Web Site is an offer by you to purchase a particular product or service for the price (including the deliver and other charges) specified in this website at the time you place your order. The Zoo reserves the right to accept or reject your offer for any reason, including, but without limitation, the unavailability of any product, an error in the price or the product description posted on this website, an error in your order or a failure in your payment. Your ability to purchase products and services from this website may be terminated at any time by the Zoo without notice. All orders placed within Australia are subject to the Australian Goods and Services Tax (GST). All Australian prices are GST inclusive. Any orders placed outside Australia for delivery within Australia are also subject to GST. Any International Orders are GST Free. Transactions via The Society web site are carried out in Australian dollars (AUS$). Delivery costs are based on item count, size, weight and the delivery destination. Once items have been added to the shopping cart an estimated delivery cost will be displayed. This will be confirmed once a delivery address has been added during the checkout process. Overseas deliveries may be subject to import charges and other local taxes. Any such charges are the responsibility of the customer. Customs restrictions may also apply. Any complaints should be emailed to information@zoossa.com.au. A reply will be sent notifying you of what action is being taken and when it will be resolved. In using this website you agree to (a) provide true, accurate, current and complete information about yourself as prompted by the checkout form for your account information and (b) maintain and promptly update that information to keep it true, accurate, current and complete. If you provide any information that is untrue, inaccurate, not current or incomplete, or we have reasonable grounds to suspect that such information is untrue, inaccurate, not current or incomplete, we may suspend or terminate your account and refuse any and all current and future use of this site. You are responsible for maintaining the confidentiality of your password and membership number and are fully responsible for all activities that occur under your password or account. You agree to immediately notify us of any unauthorised use of your password or account or any other breach of security. Material on this site is purely for informational purposes, and should not be used as a substitute for professional or industry advice. The Society is committed to quality service to its customer’s and makes every attempt to ensure accuracy, currency and reliability of the data contained in these documents. However, changes in circumstances after the time of publication may affect the quality of this information. The below Terms and Conditions relate to membership of the Royal Zoological Society of South Australia Inc., trading as Zoos SA. A valid Zoos SA Membership grants the listed member all rights and responsibilities as a member of an Association under the Associations Incorporations Act 1985. Subject to the below Terms and Conditions a valid Zoos SA Membership grants the listed member only unlimited public entry during normal opening hours to all Zoos SA properties including Adelaide Zoo, Monarto Zoo (except for private functions and special events as determined at the sole discretion of Zoos SA). Membership privileges are available only on presentation of a current Membership Card and accompanying photo identification. When visiting interstate (reciprocal Zoos in Australia) you must present your Zoos SA membership card and accompanying photo identification at the Membership area of the Interstate Zoo to gain reciprocal access under your membership. Zoos SA Membership is non-refundable. Zoos SA Membership is non-transferable. They cannot be used by anyone other than the person whose name is on the card (Excluding Life Member transferrable cards). A Zoos SA Membership is only valid during the period up to and including the date of expiry. Renewal of Zoos SA Membership that has exceeded its expiry date by a period of more than three months is subject to a joining fee in addition to the membership subscription. Proof of concession must be provided during application process to receive discounted membership fees. Concessions apply for card holders or Pension, Health or Senior Cards and students aged 15 years and over. Copies of concession or student cards must be supplied either by emailing, posting in a photocopy or bringing in your concession card for Membership staff members to sight prior to Zoos SA membership cards being posted out. Members joining as a family will be entered as a ‘household’ and will receive Zoos SA communications to share amongst all members of that household. A Zoos SA child membership covers a single child aged between 4 and 14 years. Membership form must be received with payment within 7 days of visit. A valid entry receipt must be provided at the time of membership purchase. Only one admission amount can be discounted from each membership purchased. Admissions must be of an equivalent value than the membership they are to be discounted from. For example, the maximum discount for a child membership is a child admission fee. Admission will be granted to card holders only. Replacement membership card cost is $10.00 per card and must be payable at time of order. Zoos SA reserves the right to reject any application or renewal and to suspend or terminate a membership without liability or refund if any of the conditions of the membership are not complied with or there is deemed abuse of the privileges, or a break of the Associations Incorporations Act or Society Rules. The primary member is responsible for ensuring the details of their Zoos SA Membership are correct and up to date at all times. On presentation of Zoos SA Membership card members will receive 10% discount on purchases at Zoos SA retail outlets (excludes discounted stock) and in cafe outlets. Other than free admission, Zoos SA Membership benefits and the Terms and Conditions, are subject to periodic review and adjustment at the discretion of the Royal Zoological Society of South Australia. Membership cards can take up to three weeks to be sent out. To visit before your cards arrive, please show your receipt and photo identification on arrival at Adelaide Zoo or Monarto Zoo. Present this card to receive discounts on Behind the Scenes Experiences. Benefits of life membership including the transferable pass are no longer valid following death of the life member. 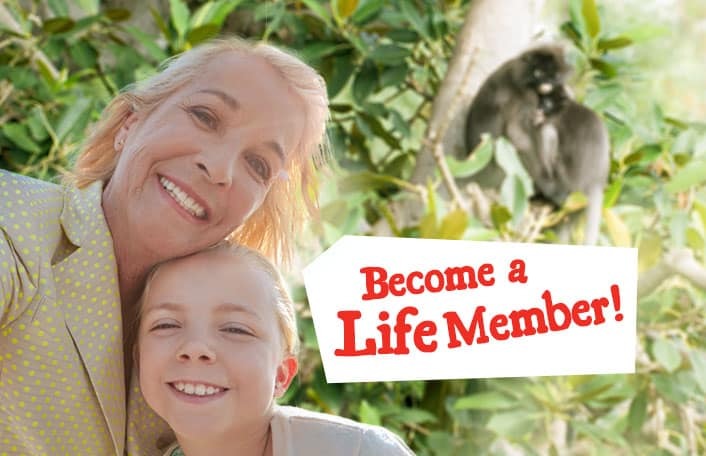 Life Member transferable passes may only be used by one adult (or two children) per day to visit Adelaide or Monarto Zoos. 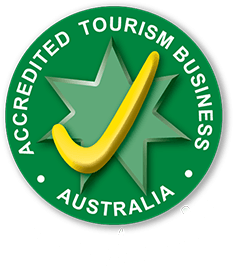 The Life Member who acquires the transferable pass is not required to be in attendance when using a Life Member Transferable pass. Transferable passes cannot be used in conjunction with any Zoos SA programs or promotions that require individual membership to join. Transferable passes are no longer valid following death of the life member. At Adelaide Zoo we endeavour to provide exhibits that complement the animals and vegetation in our collection. Please be aware that there are a number of water filled areas. Children must be supervised by an adult at all times, particularly in the contact areas. Please do not seat your children on or allow them to climb barriers. Visitors enter the Zoo at their own risk and choose to do so under these conditions. No liability for loss, injury or damage will be accepted. A visitor must enter via a public entrance and pay the entrance fee applicable. There will be no refunds due to inclement weather, animals resting, animals sleeping or exhibits closed. If the Zoo is closed to the public because of an act of war or terrorism or the forces of nature or by any event outside of the control of the Zoo then refunds shall be at the Zoo’s absolute discretion. The service charge is not refundable. If a refund is available it will only be made if the ticket holder surrenders the ticket to RZSSA within 28 days. No tickets will be exchanged or substituted after purchase. The Zoo is a quarantine area. A guest is not permitted to bring into the Zoo any animal, animal costumes, plastic straws, balls, balloons, bicycles, scooters, skateboards, roller blades or similar apparatus, alcohol or illegal substance. Visitors must be prepared to allow their bags to be checked on request by Zoo/security staff. A visitor is not permitted to use any audio equipment or musical instrument at a volume likely to disturb any animal, or behave in a manner that is likely to cause offence or disruption to other guests. A visitor is not permitted to touch or interfere with any animal or vegetation, rocks, stones, sand or similar, feed any animal other than those specified and only with the animal food sold at the Zoo, throw any object, climb on, damage or deface any structure or signage, or litter. Do not allow any objects to fall into or enter enclosures. 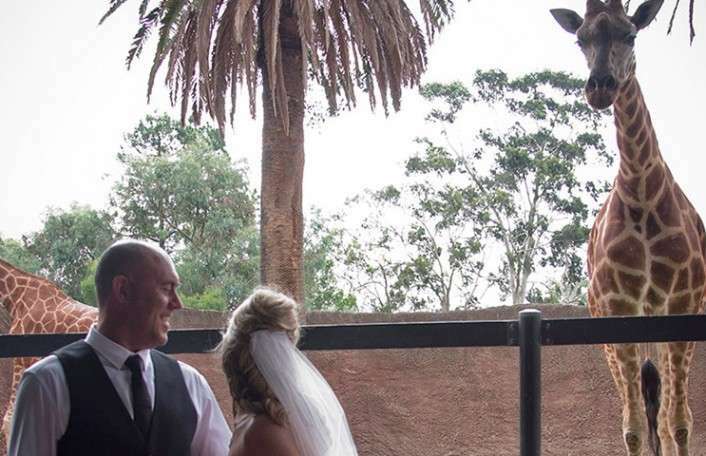 While visitors are welcome to take photographs or film for personal use they are not permitted to use it in a commercial capacity, without the written consent of the Adelaide Zoo. Visitors may have their photograph taken on entry or by a roving photographer. Visitors must clearly indicate if they do not wish to be photographed. A visitor is not permitted to enter or remain outside public hours or enter any non-public area or exhibit. All visitors must abide with any other conditions displayed in Zoo grounds or communicated by Zoo staff. The Zoo retains the right to deny access and/or eject visitors who are being a public nuisance, acting recklessly or failing to observe directions from Zoo/security staff, or any Zoo signage. The decision to deny access and/or eject any visitor is made at the absolute discretion of Adelaide Zoo. Adelaide Zoo has the authority to close the Zoo or any part thereof, including any animal exhibit or show, at any time for reasons of adverse weather, equipment failure, maintenance and construction, or in the interest of safety and will not be liable for any loss or expense incurred by a guest as the result of such closures. Adelaide Zoo is a Smoke Free site. Smoking is prohibited within the confines of all Zoo buildings and outdoor areas. Please ensure you obtain a pass out from the Visitor Centre if you wish to leave the Zoo for the purpose of smoking. Visitors are advised to wash their hands after feeding animals in the Farmyard Contact Area. The right is reserved to remove animals from display for any reason, vary the advertised programs, seating arrangements and audience/visitor capacity. The late arrival of any booking may result in non admittance. If you have already purchase your ticket and do not agree with any of these conditions, then please ask for an immediate refund and leave the Zoo entrance area prior to entering the Zoo. If you have an issue with our service or feel that you have been unfairly treated, please obtain a feedback form from the Visitors Centre at the entrance of the Zoo. The Adelaide Zoo is owned and managed by the Royal Zoological Society of South Australia Inc (RZSSA) ABN 38 750 470 952. Children under 15 years must be accompanied by a paying/supervising adult/concession during entry and at all times whilst inside the zoo grounds. Zoo’s SA staff are not permitted to allow any child under the age of 15 into Adelaide or Monarto Zoo unsupervised due to the risk that unattended children may leave the zoo grounds at any time, hurt themselves, or be approached by strangers. Zoo’s SA Staff are required to contact a parent/guardian and/or authorities if any child is found unsupervised within the zoo grounds. 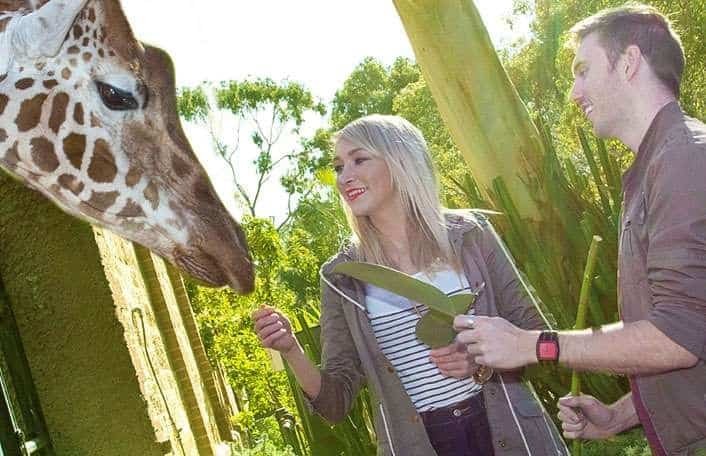 Adelaide and Monarto Zoo are busy public places, open to all, and staff cannot judge which members of the public present a possible danger to children. In addition, Zoo’s SA sites do not have the facilities to be responsible for unsupervised children who are sick, injured or hungry. The Adelaide Zoo is not required to give a refund where the ticket holder is unable or chooses not to attend. OHSC and group cancellations must be informed to the bookings office at least 24 hours in advance. The bookings office can be called on (08) 8267 3255. Any cancelation by a Vacation Care or group can be rescheduled within the next 6 months from the purchase date of the tickets. There will be no refunds due to inclement weather, animals resting, animals sleeping or exhibits closed. If the Zoo is closed to the public because of an act of war or terrorism or the forces of nature or by any event outside of the control of the Zoo then refunds shall be at the Zoo’s absolute discretion. The service charge is not refundable. If a refund is available it will only be made if the ticket holder surrenders the ticket to RZSSA within 28 days. No tickets will be exchanged or substituted after purchase. Entrance to the Zoo is via Plane tree Drive, bus drop off points are available on Plane Tree Drive near the zoo entrance. Please have your student/ Group assembled together in the courtyard area while a staff member/ Group Leader confirms your arrival to the Outside Information Desk. Zoo staff will arrange access via the group entry gate. If you require bus parking for the day, please call the Torrens Parade Ground (located on the corner of King William Road and Victoria Dve, Adelaide, Adelaide SA 5000) on 08 8203 9855. Street meter parking is also available on Plane Tree Drive, Frome Road and War Memorial Drive. Adults beyond this ratio will be charged the groups rates. OSHC Groups – We appreciate your close supervision of students within the Panda exhibit. We recommend splitting into small closely supervised groups to ensure Panda’s and students have the best possible experience. All Groups – There is no need to make booking times to see the Giant and Red Panda’s. Please note the Bamboo Forest is open to the general public from 9:45am – 4:30pm. During high visitation times such as school holidays, we advise that OSHC groups confirm a timeslot to view the Pandas with their group bookings officer to avoid congestion. 2 for 1 discount applies to full price entry tickets. Must be accompanied by a full price ticket purchase per transaction. Paying customer does not include current members. 25% discount applies to all retail items on presentation of National Pharmacies card and receipt from zoo entry on the day. This offer excludes animal experiences and is valid for purchases made in store only at Adelaide and Monarto Zoos. Offer valid until 30 June 2019. Not valid with other promotional offers or packages.